Explore the holy city of Punjab. 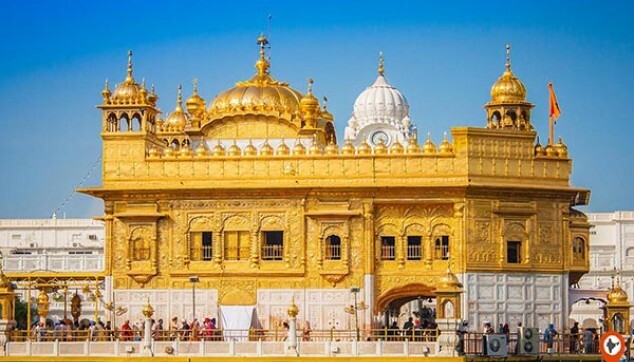 The 3 Days Luxury Amritsar Tour will cover the three prominent marvels of the city. This includes the Wagah Border, the Golden temple, the Jallianwala Bagh and the evening Palki ceremony. Along with this, the 3 days Amritsar Tour Package gives you the chance to explore the Hall Bazaar and other local bazaars of the city. Explore the marvels of Amritsar, the Golden temple and the Jallianwala Bagh. Explore the Hall Bazaar and other local bazaars of the city. Have the services of a professional local guide. On arrival in Amritsar, our representative will meet you at the airport, railway station or hotel (Recommended arrival time between 09:00 hrs to 13:30 hrs). A private cab will transfer you to the hotel. In the afternoon at around 3:00 pm, you will be received from the hotel. From here, you will head towards the 3 Days Amritsar Tour Package. This will take you to the Wagah Border, the first marvel of Amritsar. The 26 minute ceremony of presenting arms at every sunset in Amritsar is a key attraction for every tourist. With Bollywood’s patriotic songs in the background, experience the history of Wagah Border Ceremony. The ceremony is a representation of both rivalry and brotherhood of the nation. Soldiers from both the side comes together and have a handshake with each other. You can enjoy the complete ceremony from the VIP gallery (Note - Access to VIP gallery is permissible for foreign nationals only). The second day of 3 Days Luxury Amritsar Tour started with Amritsar City Tour and Evening Palki Ceremony. Our tour guide will receive you from the hotel at 9:00 am. From here on, you will be received for the city tour of Amritsar by a local guide along with an air-conditioned cab. The first place on this tour is Golden Temple. 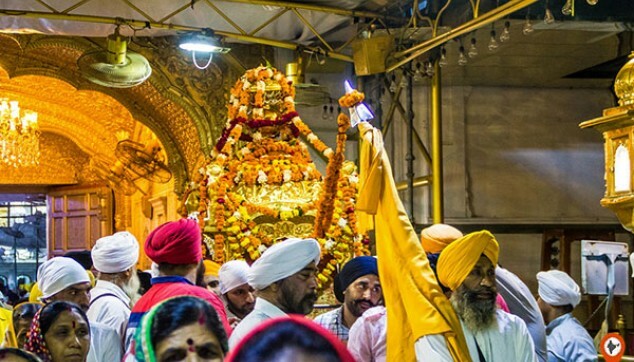 On this Amritsar tour, delve into the spiritual side of Amritsar. The upper part of this temple has a layer of gold. Its shadow on the lake along with the peace and serenity in the temple makes it a perfect place to visit. After admiring the beauty of Golden Temple, a chauffeur will drive you to the Jalianwala Bagh. The story of Jalianwala Bagh will take you back to the era of bloodbath which took place in 1919. Around 1,000 innocent people were killed because of the unarmed Indians by British Brigadier General Reginald Dyer. 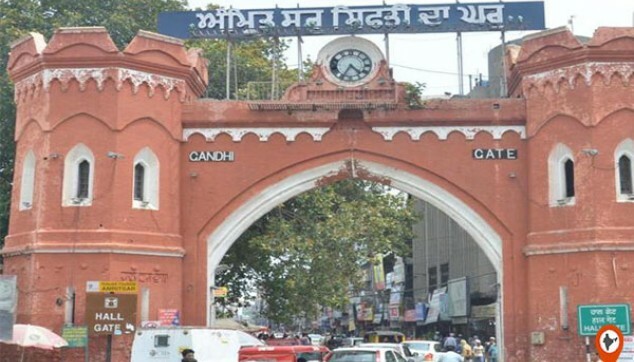 Post Jallianwala Bagh, have fun at Hall Bazaar and other local bazaars of the city. The handicrafts, ornaments, electronics, and garments are some of the key attractions of the city. Later on you will be dropped back to the hotel. The attractions of the tour are not over yet. Around 9:00 pm, you will drive to see the enchanting beauty of the Golden Temple. The lighted Golden temple in the night with its reflection in the lake is a great thing to go for. Around 9:00 pm, you will get to see the attractive Evening Palki Ceremony. At this Palki ceremony, the holy book Guru Granth Sahib is taken to a room in the Golden temple. At the time of this Palki ceremony, the Gurbani Kirtan is played in the background. Once the Ardas is completed, then head to have the yummy Karah Prasad loved by all the devotees. Once the ceremony is completed, you will drive back to the hotel. Enjoy a leisurely breakfast at the hotel. Now, get ready to be transferred to the airport. Proceed with your onward travel. 02 night’s accommodation in Luxury Hotel at Amritsar. I want to visit this place again. It was so peaceful at Golden Temple and I enjoyed roaming around. Got to interact with people and learned a lot. Nice trip. Amritsar had been on my bucket list since long, finally, I visited Amritsar with my family and kids. They loved it. The Golden is so beautiful and the beating retreat at Wagah border was exciting to watch. I booked a tour package from Indiator, they kept in touch all the time and the car was very comfortable. I had a great time in India. Thankyou!